If you fly with RyanAir this month, you might see me in their inflight magazine talking about the lovely Princess of Wales pub in Primrose Hill. So I thought I'd take the opportunity to tell you about some of my favorite food places in London. I also wanted to quickly mention sponsored posts. I often write blogs about places, restaurants and events that I've been to. Whilst I am lucky enough to sometimes be invited to these places, I have a very strict rule that I will absolutely not blog about somewhere I don't like - whether it's a freebie or not! Having said that, the majority of my blog posts are about places I've found and paid for myself, and think they're just so brilliant that I feel the need to share! ALL of the places in this post are old/new favorites of mine. 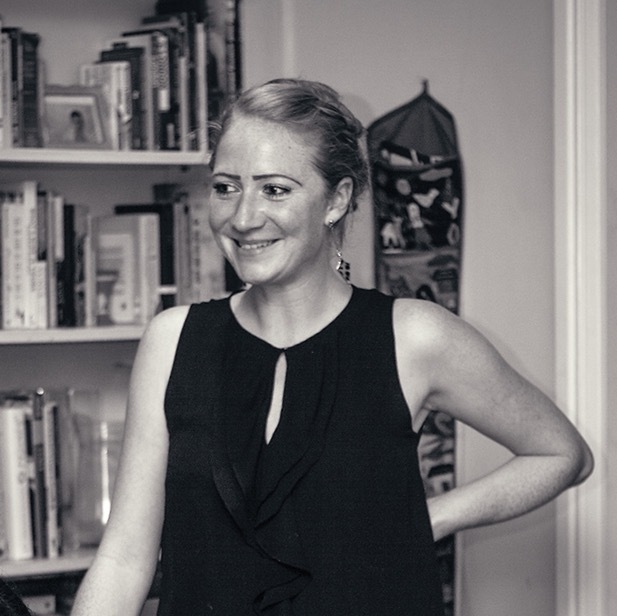 I've lived and worked in London for over 10 years now, and carry fond memories of various places that have fed me well over the years, from sandwich bars and cafes, to market stalls, pubs and restaurants. Here are just a few of them. Do let me know what yours are, and please share any secret finds you have! I lived in East London for most of my years in London, and found some pretty cool places for a bite to eat. There was always a huge choice of places to go, and I could've had beigels on brick lane for £3, or dined at some of the more luxurious restaurants in the area. But there was one place I went back to, nearly every Saturday morning, for an awesome hangover breakfast. The Premises is on Hackney Road and is the front of the UK's only solar powered recording studios. The walls of the cafe are covered in photos of famous faces who've recorded music there, and you're just as likely to see them in person, ducking in for a quick coffee between sessions. The cafe is run by a lovely brother and sister duo, and it was always my favorite place to hide behind a newspaper, gorging on either a full English or their meze selection, watching the world go by. My university years were spent as many are, on a very tight budget, trying to survive London with all its temptations! My university was just off Tottenham Court Road and I found a gem of a sandwich bar on Store St, going by the name E Garner, that I still pop back to if I'm in the area. Not only were the sandwiches (and apple pies) seriously delicious, but they still are excellent value. You can get a very filling sandwich and apple pie for £4. They don't have a website, but if you're anywhere near by, it's definitely worth a visit - especially if you're a hard up student!! I know I've blogged about The Bollo before, and that I regularly tweet delighted snaps of days and evenings spent there, but it really does deserve a second mention. It is my favorite local pub, and I do go there a lot. Their menu stays up to date with the seasons, and I love nothing more than trying something new there, that I know I'll order again and again. The wine list is also worthy of a mention, their house red is a very decent Sangiovese, at £16 a bottle, and they do an excellent Valpolicella for less than £30 a bottle. Service at The Bollo is casual and friendly, with no-one hovering over you, but near enough should you need something. The Bollo's my favorite weekend hangout. As well as being waited on and cooked for, I really do enjoy cooking myself, and there's nothing that inspires and excites me more than tasty, fresh, free range ingredients. And I'm very lucky to have many suppliers of these near to my house in West London now. I get all my fresh fish from the fishmongers in Ealing Common. It's called Mo's Fisheries, although that won't help you find it, as it doesn't have a sign! But it's right opposite the exit of Ealing Common tube. It says a lot that all the local sushi restaurants buy their fish there. All the fish is in iced polystyrene boxes, that you have to peer into, and scrape ice off to see what's inside. The selection changes daily, and they're closed on Sunday and Monday due to lack of fresh deliveries. They also sell a 220g pack of organic salmon for £5, which is amazingly good value! When I moved to West London a couple of years ago, I had a huge feeling of being lost. Lost as I didn't know my way around at all, and lost because I felt like I'd lost all those magic places that I had grown to depend on for food in East London. But I certainly wasn't about to start popping back to Columbia Road every weekend just for apples and tomatoes! So with a bit of research and some trial and error, I found my new local market, which I now love just as much as I loved the markets I used to frequent in East. My new favorite is Ealing farmers market. It's run by the London Farmers Markets who run a lot of the farmers markets we have here, and it sells everything I need. I go once or twice a month and stock up our freezer with meat and cheese, and get all our veggies for the week there too. Ealing Farmers Market runs every Saturday from 9am - 1pm. You can't move in London for the latest street food stalls and markets, and if you wanted, you could eat at a different food stall for every meal of every day for months on end. 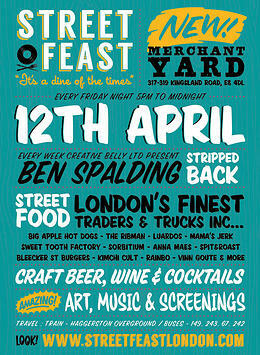 But the clever people at Street Feast bring together some of my favorite street food vendors, all in one place. 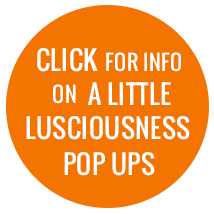 This includes my very favorite, Pop Up Barbados, who sell fresh fish, cooked to order with an out of this world salsa. StreetFeast has been away for a winter break, but they're back soon with their night market at The Merchant Yard, Kingsland Road, each and every Friday from 12th April. When I was living in East London I couldn't get enough of Sutton and Sons fish and chip shop on Stoke Newington High St. There aren't many fish and chip shops that you can get amazing fried fish, or oysters shucked for you on the spot. All their fish comes from The Fishery fishmongers just over the road, and for lazy days they also do delivery. Now I'm in West I haven't found anywhere quite like Suttons, but I have found an excellent thai delivery. Boys thai in Chiswick do a fantastic pad thai, and for £10 it's not bad value. Have you tried 'Kerbisher & Malt' (Fish & Chip Shop), there is one in Ealing and another in Brook Green. It is fabulous. No I haven't actually been there, but it's now on my list :) I could write about my favorite places for food all day long!!! Somehow, I don't like Kerbisher and Malt. To me the fish is too greasy. They have a huge portion of chips though. And of course, quite a few varied forms of sauces and tartars, not so common in a typical chippie. Thanks for the comment Shuvam. I'm yet to try it, but always welcome people's opinions! I will make sure I do try though as always good to know how good a place really is!